Heartworms are a serious and potentially fatal condition caused by parasitic worms living in the arteries of the lungs and occasionally in the right side of the heart of dogs and cats. But Heartworms are not limited to dogs and cats, they can live in other animals as well! Heartworms can be found in wolves, foxes, ferrets, sea lions and sometimes even humans. Though sea lions are not a big threat for Heartworm transmission in New Mexico, foxes and wolves definitely are. Any breed of dog or cat can get Heartworm. No breed is immune! Heartworms are transmitted from animal to animal via biting insects, most commonly mosquitos. Keep your pets safe and pick up Heartgard heartworm prevention at our clinic in Albuquerque or Los Lunas. A mosquito bites an infected animal. The microfilariae that live in the infected blood matures into larval stage within the mosquito. When the infected mosquito bites another animal, the larvae are deposited on the skin and then they infect the new host. It can take up to 2 months for the larvae to fully migrate into the host through connective tissue, through the skin and into the blood stream. Once in the blood stream, the larvae are quickly transported into the arteries of the lung. From that point, it takes 6 months for the larvae to mature into adult worms that restart the reproductive cycle. 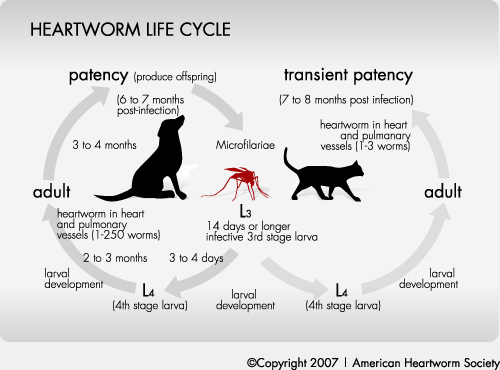 Heartworms can live for 5-7 years! Though both dogs and cats can be infected, dogs are at a much greater risk. Heartworms in cats take 7-8 months to reach reproductive maturity and have a much shorter reproductive capability. In cats, Heartworms can only reproduce for a few months whereas in dogs they can do so for years. Cats are not considered an effective reproductive host, as only 20% produced sincemicrofilaria…or the offspring of Heartworm. Cats still need to be treated for heartworm, as they can still cause significant damage to cats. However, they are at a lower risk overall, when compared to dogs. 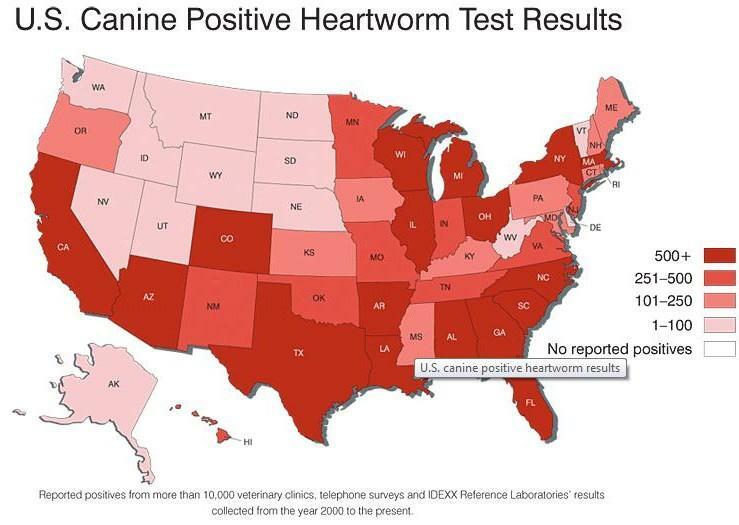 New Mexico is a moderate to high Heartworm infection state. New Mexico is in a moderate to high Heartworm infection state. This is because we do not have a heavy mosquito population due to our lower rainfalls. However, during our rain season, we do get sitting water which is a breeding ground for mosquitos. The summer is a particularly high-risk time for infection. If untreated Heartworm is fatal. Treating Heartworm is not easy. It is very expensive (upwards of $1000) and it is not always possible to have a recovery. In cats, despite the fact that they are at an overall lower risk because they are not good hosts, there is no treatment for Heartworm in cats, only dogs. The good news is, it is preventable! Heartgard is the easiest way to prevent Heartworm in your pet. You can get Heartgard by coming into the clinic, or ask about it during your annual checkup. The treatment is easy and affordable. It stops the infection from happening. So even if your pet is bitten by an infected mosquito, Heartgard will stop the infection before it reaches the lungs. 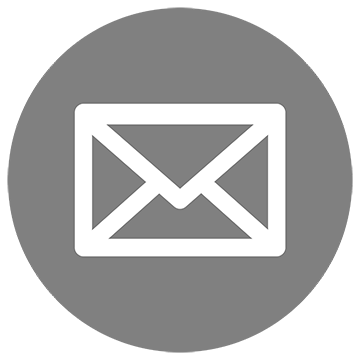 Make sure to check our promotions to see our current deals on Heartworm testing! Call Albuquerque Vetco or Los Lunas Vetco to get your Heartgard, or come into the clinic!